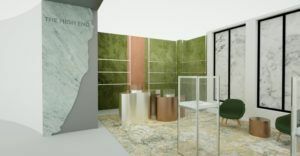 Upscale specialty retailer Barneys New York announced plans to sell cannabis products and accessories in a new “luxury” head shop called The High End, the latest mainstream company to capitalize on the marijuana industry. The shop will open in March inside the Barneys flagship store in the tiny Southern California town of Beverly Hills. The High End will sell Beboe-branded cannabis products for delivery because the store won’t have a California marijuana retail license, The New York Times reported. The shop will also sell rolling papers, glass water pipes and other accessories, including a sterling silver marijuana grinder that will retail for $1,475. In addition, The High End will offer a variety of CBD-infused beauty and scented products from brands such as Saint Jane, Foria and Lab to Beauty, among others. Barneys plans to open other High End locations in California and in other states, including New York, provided the Empire State legalizes adult-use marijuana, the Times reported. Select accessories featured in The High End will also be available at Barneys.com. Great idea. Sell mmj with no license, just like the old days. I hope you guy’s have run this idea by the BCC. I don’t think Lori Ajax would approve of selling weed without a license. I think they call that “the black market”. But for these guy’s I think it should be called “the golden black market”. The article says something about delivery. How much for a pound of your dankest Barney buds. delivered to Oakland, Ca. If I pay the Ca. state tax on that New York dope, does that make it legal to resell?